I will be starting my 24th year in Alaska on the first day of May. I drove up in a copper-colored ’74 Ford Bronco, with my yellow lab in the back of the truck, along with my camping gear, a box of books and my typewriter. I didn’t really have a plan, just a desire to check out the Last Frontier. Much to my father’s dismay, I fell in love with the state immediately. It isn’t a stretch to say, that I realized that I had found my way home, on that original first day of May. There are Two Truths about Alaska that I learned very quickly upon my arrival, and they are diametrically opposed. That does not make either one, any less true. Truth One is the definition of a sourdough: Someone who has soured on Alaska, but doesn’t have enough dough to get out. Truth Two, is that Alaska ruins you from being able to live anywhere else. I fall into the latter category. I’m not just an Alaskan, but an Interior Alaskan to boot. I had a buddy from Anchorage who came up to visit one summer, and stayed at my cabin near Fairbanks for a whole week. 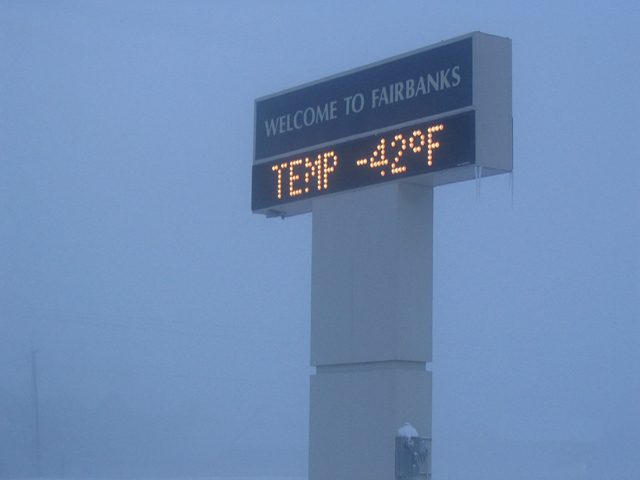 He lamented to mutual friends after the visit, that “Mike has ‘gone Fairbanks’ on us. He has gone over to the ‘Dark Side’.” I took it as a compliment, even though he did not mean it as one. It was true, I had gone all in on my life at the end of the road. Alaska isn’t for everyone; it does take a certain personality to thrive here. I’ve known people who could not leave the state fast enough after their first winter. But I’ve also met many retired military members who served in Alaska, eventually transferring out, but returning to build a life here after their service was done. There is something about Alaska that burrows into your bones, and soaks into your soul. For those of us who choose to live here, Alaska becomes a part of us, and we take a little bit of the state with us everywhere we go. There is an ability here to immerse yourself in the natural world which is unique. 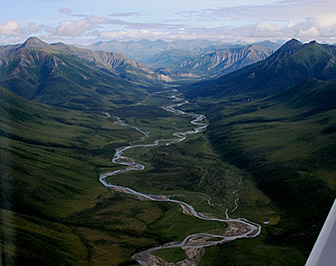 Not because it can not be done elsewhere, but because there is still wilderness in Alaska. True wilderness. I do not know how long we will be able to hold onto that wilderness, but for now, we still have it, and it lies outside our back door. On one or two occasions, I have been called a “free spirit”. I’m not 100% sure what that means, but I do follow my own trail some of the time. Heading into Year 24, I’m as thrilled to be here today, as I ever have. We all have our roller coaster rides, and I’ve lived through my fair share. I’m excited to be returning to The Ridge full time, and that should happen this summer. There are several trips planned over the next several months that will allow me to explore additional areas of this amazing corner of our planet, and I can’t tell you how thrilled I am about that. I state all of this with caution. I tend not to plan out too far, because that is when the universe decides to throw you a wicked curve ball. I send out hope to the fates, that they will allow me to think out as far as September, if only for a change of pace. I’ve been up in Alaska for a while now, and I know that each day is a blessing. After some revisions, I hope to immerse myself in this natural wonder for a while longer yet. At some point, I realize that I may have to move on from here. All one can do is make the most out of life wherever you are. That holds true for everyone/everywhere. I will be heading Outside shortly. It is time to travel, and I’m excited to be heading Out. Some new places to explore, and some old friends and family to visit. As much as I am looking forward to it, I know I will be just as excited to return to Alaska when the time comes. As much as I do love to travel, I am always anxious to get back home in the end. I’ve seen Alaska recently described as a drug, and I think that is as accurate a description as any. Alaska is a drug, and I’m addicted to her, just like many other very special people. This entry was posted on Sunday, March 11th, 2018 at 6:29 AM	and tagged with Alaska, bear, cold, driving, Fairbanks, friends, history, ice, moose, photo, quote, snow, travel, wildlife and posted in Alaska. You can follow any responses to this entry through the RSS 2.0 feed. I call Alaska my obsession – I WILL get there one day!!! I hope you do, GP. Everyone should experience Alaska at least once. You have written that ‘Alaska isn’t for everyone’ and I have found that those words ring true when family or friends visited me at my cabin and I found out later that they could not understand how anyone could live that way. You can neither fully enplane the mental hold a drug addiction has on you anymore than why Alaska permeates every thought of one’s day. My friend revel in the fact that you CAN return to Alaska… and hold these memories closely for the day you won’t be returning. I will do exactly that Pete. It’s true that there’s no place like it, and it’s kind of hard to explain it to someone who’s never been. I lived there for a few years in the late nineties, and there’s an excitement to just being there. It’s something that’s stayed with me, even after all these years I’ve been away.